The story of the story teller. The buyer in posh air conditioned houses and offices worldwide, uses these art forms to create an ambiance of being earthy, sometimes exotic. The pieces carefully chosen by the interior decorators of the page 3 kinds. But the artist who has created this unique artwork remains unsung and partially paid. while the art dealers, and curio-houses eat up the profit. The journey is complete so is the story of the artist or Raghurampur in Odisha, like always the middle man exploits, but when technology plays middle man then it would be a win-win situation both for the artist and the art buyer. 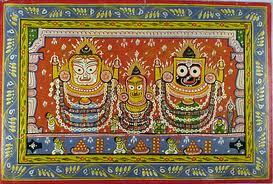 The city of puri, houses raghunathpura, the settlement of the artist community of odisha. This community is the keeper of the art form that has existed since 500 BC. But rapid advent of technology and the market driven patrons this community finds its self exploited. Incidents where middle men have bought the artwork from the artist at costs like 8000/Rs. has sold it at prices almost double. Interestingly they neither compromise on their art, nor give it up nor beg for help. It the DO RIGHT community http://doright.in. offering to look their back for them. Do right is looking at collecting a seed money of 45,000/Rs. that would help the have a web page of their own where the final consumer could contact the artist directly. Having a webpage would mean direct contact with the world of art buyers. It would be a win-win since the price for the buyer would scale down, and the number of buyers would automatically increase. Increased income would also bring an upswing in the community economy allowing them contingency savings, healthcare and maybe innovations. To revive the dying art of Hase-Citra of Karnataka, one man Radhakrishna Bandagudde struggles. Being media and techno savvy, he has created art exhibitions and conducts workshops this not only popularized the art it also gives it the required publicity. These indigenous art forms belong to the community and the community needs to work to keep it together. This is a cry world round. We have just had interactions with a group of journalists from Uzbekistan who are working on techniques to revive folk art and skills that the communist regime destroyed. They are also trying to revive the Uzbek instruments that have died. 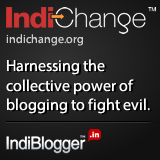 CategoriesRhythm Indiana Tags#folkart, Cue cards- indiblogger, incredible india, orissa, pattachitra, Tata-Doright, Uzbekisthan.